This paper was originally published in the Proceedings of the ICMC 2007. Republished with kind permission in eContact! 10.4. This paper describes a recent network music performance (NMP) study that was carried out at the Sonic Arts Research Centre in Belfast in March 2007. We refer to this study as the “Apart Project”. (1) This study is unique in that a wide variety of novel network scenarios were tested. A vast database of movie and sound files has been created as a result of this work. For this study, three professional musicians, a pianist, a saxophonist and a percussionist were placed in three separate studios at the Sonic Arts Research Centre (SARC) and were asked to perform two pieces under different conditions. These conditions simulate geographically displaced network performance through, for example, the introduction of differing latencies. One of the scenarios, in which computer-generated graphics (Avatars) were introduced for testing the performers’ interactions will be described in more detail. This paper provides an insight into the cultural implications of the network as a site for performance. It also describes the various set-ups of the Apart Project, the use of graphics for performers’ communication, and highlights some important musical issues inherent to network music environments. In the age of technological omnipotence, digital connectivity and apparently unlimited possibilities, being “networked” has become a fashionable state, being in the “network” a favored place of existence. However, the idea of a network has existed for a long time; the etymology of the word attesting to this. The network can be traced back to at least the 1560s, where one finds the network posited as a “net-like arrangement of threads, wires, etc.” (Harper 2001). In the 1840s the word tended to refer to “any complex, interlocking system,” often used in reference to transportation channels such as rivers, railways, and canals (Ibid.). Roughly sixty years ago, the network came to signify the interconnection of groups of people, and in the early 90s the nowadays frequently used socio-political term of the “network society” was coined by the Dutch author Jan van Dijk in his De Netwerkmaatschappij (1991, trans. The Network Society) (see Wikipedia entry for Network Society). Five years later, Manuel Castells referred to this term in the first part of his trilogy, The Information Age. In this work, Castells examined the ways in which a network society reconfigures itself; the ways in which it can constantly change. At the end of the 1970s, the extension of digital networks was understood as a way to revive democracy, as a way to facilitate communication which is free from class and ethnicity; a way to forming a “global village”, as Marshall McLuhan had termed it in 1962. The network took on extended meaning in Deleuze and Guattari’s A Thousand Plateaus, where they entangled the network with the metaphor of the rhizome. (2) Networks flow and consist of interconnected entities. However, as Richard Coyne points out (Coyne 2001), we too easily conceive of this technology as an idealized way of connectivity, of the ability to revitalize democracy, of a unity of all things, of a new holism, of things being able to flow without disruption. Networks may seduce us into thinking that we have access to the infinite, whereas in fact the network functions more in the manner of in Deleuze and Guattari’s notion of the “surface”, where nothing exists above nor underneath. (3) It is indeed Deleuze and Guattari’s rhizome metaphor and its alignment with the notion of fragmentation and disconnection that counters these idealizing ways of thinking about the network, what Coyne refer to as the “inflated authority of the network” (Coyne 2007, p. 10). Deleuze and Guattari very much argue against seeing networks as a globalizing way of explaining everything. A general consensus seems to have appeared at the recent Two Thousand + SEVEN symposium (Belfast) on networked performance environments, in which musicians/digital artists/performers emphasized the wish to embrace what some computer programmers consider “problematic”, “disturbing”, or “irritating”. Thus, artists are turning towards these inherent idiosyncrasies of the network, such as loops, latencies and disruptions, and are developing strategies for addressing what can be considered crucial characteristics of the network as a medium. In the last few years some works already have explored these kinds of a-synchronicities inherent in all current network technologies. For example, Chris Chafe’s site-specific sound installation, Ping, made audible the delay existing when data of networked computers was transferred between different sites (Chafe 2001). In 2005, the duo l a u t performed a work entitled A-Synk, a piece for percussion, saxophone, live-electronics and internet audio chat client that explored the improvisational content between two groups of musicians in two different locations (Belfast, UK and Lisbon, Portugal). The performance was informed by the inherent behavior and misbehavior of the group’s low bandwidth audio chat link. In this way, the music’s development was shaped by the limitations of bandwidth, unpredictable delays and interruptions, which are inherent in such technology, where the role of the live-electronics is “that of an extrapolation of the types of down-sampling, filtering, delays and interruptions presented by the audio link itself while the instrumental parts are based on close response to (delayed) events created by each of the performers” (Rebelo and Schroeder 2005). The Apart Project builds on a year long journey of networked music performances that have been carried out at SARC. Theses performances started in 2005 and consisted of various ensemble formations: a traditional Irish Jam Session (with CCRMA in Stanford, USA, SARC in Belfast and the University of Washington), a two-site Christmas concert in 2005, as well as a three-site Christmas concert in 2006, with the participation of CCRMA and the University of East Anglia Norwich, UK (see Renaud and Rebelo 2006 for further details). From having carried out these performances and after carefully examining a vast variety of other networked performances over the last years, we felt the need to address specific musical issues in a field in which technological complexity shifts considerations of musicianship and remote performativity into second place. The Apart Project thus wanted to carefully examine these complex cues and intricate ways in a network environment. We are particularly interested in how the network might suggest strategies for ensemble playing which might differ from those commonly used on the traditional stage. We will first turn to a more detailed technical description of the Apart Project before analyzing one of the scenarios in more detail. The Apart Project builds on previous work that addresses the analysis of musical interaction under network conditions. Elaine Chew’s study on user-centered experiments in network performance is a purely quantitative study, which examines the effects of latency on musical ensemble accuracy. The study proposes two ways of measuring that accuracy by analyzing the “segmental tempo difference and the segmental tempo ratio from a baseline performance” (Chew et al 2005). The study is based on the analysis of MIDI data collected from two geographically displaced pianists playing in a variety of latency conditions. Another study, led by Chris Chafe, looked at a latency threshold beyond which music is getting too difficult to play over the network (Chafe et al 2004). The study is commonly known as the “Clapping Experiment” as musicians were placed in separate rooms and asked to clap a rhythm together. Our particular study was developed with view to promoting situated types of musicianship rather than to formalise the thresholds of playability in a network performance situation. The study’s aim was to better understand conditions for performance that are created, facilitated and suggested by geographically displaced network performance environments. The musicians involved (Pedro Rebelo, piano; Franziska Schroeder, saxophone; and Steve Davis, drums) have worked together in the context of free improvised music (FAINT, 2007). They chose two pieces to perform under a number of different scenarios that emulate a variety of network conditions and introduce approaches to audio monitoring and video exchange. The selected repertoire, Ornette Coleman’s Bird Food and Pedro Rebelo’s One Note, provided two contrasting musical situations, with Coleman’s work requiring a high degree of synchronisation and Rebelo’s piece requiring an acute type of listening for the realisation of instructions through improvisation. Bird Food requires precise unison playing for the tune and also includes a short free improvised section. This piece thus allowed the performers to test issues of timing, precision as well as free playing. One Note is based on a simple improvisational idea described through verbal instructions (see Fig. 1). 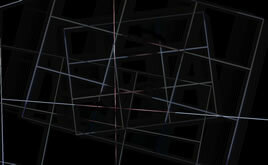 It was conceived as a structured improvisation developed with the inherent aspects of the network in mind. In One Note, the saxophonist and the pianist musically follow each other towards a unison sound: one of the players chooses a note which in the course of the musical play should be matched by the other player. Both players then explore this unison sound through beatings, trills, bisbigliandi etc. The player who reaches the note last then moves onto a different note, which becomes matched by the former player and so on. The percussionist provides a musical counterpoint in that his most active playing occurs during the time when the other players are exploring the unison sound. It was important for this study that such a free piece was included since intense listening is demanded, while at the same time the performers are not required to follow a score nor to be in metric synchronicity. This parameter was important since a score-based work, such as Bird Food requires the performers’ eyes to be focused on the material in front and thus makes it harder, and at times impossible, to focus on any other visuals that may be introduced. Traditional shared stage performance setting. The scenarios are briefly described in section 3.2. Figure 1. The score for One Note by Pedro Reblo. © the composer. Used by permission. The first scenario consisted of both stable latency (150ms) and variable latency (random variations between 90ms and 185ms). These values were deliberately high in order to challenge synchronicity and to complement studies which define the ensemble performance threshold (EPT) as the maximum delay with which musicians can play in synchronization. The second scenario makes use of standard video conferencing technologies — in this case three-way iChat — to add video feedback to performance both with and without latency. The latency introduced by iChat had no impact on the audio latency simulated for the study as these were independent systems. The third scenario introduces the notion of enhanced audio monitoring in which monitoring in each of the studios is mixed according to pre-assigned virtual positions for each instrument and panned accordingly. This strategy attempts to position each musician within a stereo image, which is akin to that on a shared traditional stage. Another kind of enhanced monitoring consisted of the sharing of ancillary cues such as breathing. This was achieved by installing a headset microphone on each player with the signal being monitored by the other performers through an ear-piece. These types of monitoring were tested both with and without latency. The fourth scenario introduces the idea of “avatars” (described in more detail in section 5). These graphics assume the presence of each musician in the remote locations as displayed on a computer screen. The avatars attempt to capture gesture information from each player which is then modulated by audio-based analysis to render graphic entities which can potentially introduce a parallel type of interaction and serve as a way of displaying remote presence for an audience as discussed below. Figure 2. Video stills from the three studios during performance. Left to right: Pedro Rebelo (piano), Franziska Schroeder (saxophone), Steve Davis (percussion). The setup included three studios in the SARC building. There was one performer in each studio who was sending audio and video signal to a fourth studio that was used as a control room. The control room was redistributing the signals back to the three studios after some processing. This setup could also have easily been achieved on a Wide Area Network (WAN), providing sufficient bandwidth availability. Recent tests and performances between SARC and the CCRMA at Stanford University have allowed the bi-directional communication of non-compressed high quality audio between the two sites with up to 16 channels as well as compressed video. Each of the three performance spaces was sending two channels of high quality audio to the control room using high-quality microphones. A third auxiliary channel of audio was used in certain scenarios to send ancillary cues, which were used in some cases as an independent stream of audio for potential enhancement of ensemble playing. The capture of these ancillary cues was achieved through the use of headset microphones. A fourth channel of audio was used to send the independent signals to audio analysis devices located in the control room. The audio channel used for audio analysis was either decoupled at the control room level or captured directly as a third microphone in the performance space depending on the type of instrument used. The audio signal originating from each studio was routed through the control room to a pair of loudspeakers in each studio. This allowed for the processing of signals prior to sending them through depending on the scenarios chosen. In each studio the speakers were strategically placed in relation to the microphones to minimize bleedthrough and feedback loops. The speakers were located as far as possible from the microphones at a minimum of two meters. The polar patterns chosen on the microphones were as directional as possible in order to capture the sound from the instrument rather than from the speakers. Figure 3. Studio connectivity and routing. The control room was the hub of the overall system. It is important to specify that in the case of a real-world network performance the control room can be part of one of the performance spaces. For practical reason and due to the analytic nature of the study, a separate studio was used for the control room. In order to provide documentation for later analysis, each individual audio stream was recorded into a Digidesign Pro Tools digital audio workstation (DAW). Every stream was captured at 44.1 kHz with a 24-bit resolution. Using a DAW to capture the incoming audio streams was convenient as it allowed for the artificial inclusion of fixed and variable latency by using simple delay lines with delays corresponding to those found on standard IP WAN networks. In the case of this study a fixed delay of 125 ms was applied on independent incoming signals from each performance space to simulate stable but distant network conditions. In some other scenarios, a variable delay ranging randomly from 90 ms to 185 ms was inserted to simulate “worst case” network conditions with large amounts of jitter, which has a negative impact on latency stability. The control room was also broadcasting a SMPTE signal to the cameras in the three studios so that the individual non-synchronous video streams could be matched to the audio streams at a later time. The control room further included a set of computers dedicated to the audio analysis of each signal. The audio analysis was used in certain cases to modulate a set of avatars rendered in individual computers in the studios. A talkback microphone was installed in the control room in order to facilitate communication with the musicians. A video link was used in some of the scenarios to link the three studios of the performers. The video was not transmitted to the control room and was broadcast bi-directionally in a peer-to-peer fashion. For full quality video the Apple iChat A/V application was used. iChat provides a surprisingly low level of latency and high video quality despite the usage of video compression codecs. iChat was chosen for the simulation because it is currently the most commonly used application in real world NMPs. For other scenarios, a Max/MSP/Jitter patch capturing the gestures of musicians was used and sent via the network to the other performance spaces. In return, each performer was able to view rendered gestures from the two other performers on a screen. This method is very bandwidth efficient since an openGL Jitter matrix, rendered locally in each of the studios, is sent over the network rather than a video stream. In certain cases the patch was responding to the audio analysis system located in the control room. The process was very light in terms of bandwidth utilisation as the machines located in the performance spaces were only reading a set of messages originating from the audio analysis system rather than from the actual audio data. Figure 4. Control room connectivity. Although the study of visual cues in music performance is beyond the scope of this paper, the design of avatars used in the Apart Project is informed by notions of gesture anticipation, movement and to a certain extent of duration as applicable to particular music materials. These notions are derived from a wider performative context that can be described as free improvisation, in which gesture and bodily presence can be reflected directly into musical decision making, and in particular from the performance practice of this particular trio. Traditional avatars as used in gaming and online environments such as Second Life are designed to reflect character and identity through representational graphics which, more or less, tend to emulate characteristics of the human body while acquiring artifacts and idiosyncrasies of virtual environments (such as walking through walls, flying, constant reconfiguration and costumization). The avatars used for the Apart Project are not self-contained characters as viewed by a virtual camera arranged in Cartesian environments which 3D graphic technologies rely on to communicate scale, distance, movement and relationship between objects/bodies. Rather, they are designed as close-up and detailed, yet abstract renditions of performance gesture. The all encompassing god-like camera view which situates one and one’s avatar in a 3D environment is here replaced by an almost haptic condition which plays on the local and embodied rather than on the observed or the perspectival. The Apart Project avatars emerge from the understanding that one’s notion of one’s own body is never optically complete; it is made of fragments, glances, suppositions, sometimes fantasies. There is an element of the incomplete, the fragmented and an inherent engagement in low-bandwidth, which is potentially better suited for the kind of interactions at play in ensemble performance. As will be argued in the next section frontal full body video capture does not provide an ideal visual connection to performers in remote locations and the generic nature of conventional video conference imagery seems to impose too much emphasis on the notion of being there whilst impeding the exploration of being apart. The Apart Project avatars attempt to address both a level of interaction between performers as well as a type of visualization that can be used to render the telematic body in a way that invites exploration from an audience (i.e. interpretation and ambiguity rather than the simulation of “being there”). 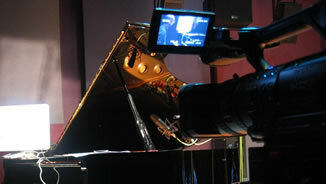 Figure 5: Video camera set up to film the piano player during performance. The avatars consist of OpenGL 3D graphics that render simple 3D primitives (cubes, cylinders, planes…) modulated by multimodal inputs. In our case the input consisted of video cameras positioned according to the axis of highest degree of movement for each instrument (bell—mouthpiece for the saxophone, allowing for the capturing of finger movements as well as relative movement of the instrument in relation to the body of the performer; along the piano keyboard allowing for the capturing of finger movements from the low to the high register; and over the drum kit allowing for the capturing of action through space defined by the configuration of drums and cymbals). For some of the scenarios the avatars were further modulated by the real-time audio analysis briefly outlined in section 5.1 which provided an opportunity to visualize aspects of musical material, such as density, shifts in spectrum and inharmonicity. Figure 6: Stills from Avatars showing increasing density in piano playing. The common approach to onset detection is to point the most likely time position of an event. The methods are generally based on power change and/or transient detection. In the case of the Apart Project, onset detection was treated in function of its context, considering its distance to the background noise, the presence of other onsets, and some of its spectral content: e.g. presence of more high frequency partials raised the values of the onset, as did the speed in which sound increased during the onset (dB/ms). Although the previous measures do not exhaust all the parameters for modeling onset perception we felt that the result provided clearer graphic feedback than simply plotting the dB value of a given point in time. In the special case of onset detection density, several onsets were averaged within a fixed length audio-analysis buffer. The conception of spectral shift relates to differences in spectral centroid while inharmonicity relates to broadband noise. These three dimensions were represented by bounded variables in order to keep the analysis to graphic mapping stable. Minima and maxima of the variables were adapted during rehearsal time, thus maximizing the avatars’ performance. It could be argued that a model in which phrase length and phrasing inflections could be “understood” may be more beneficial for the performers’ interaction than the one presented here; such a system is to be developed for future network performance applications. In this context it would be desirable to create a more adaptive method that would resize the audio-analysis buffer according to musical phrasing. One of the challenges relating to the role of the avatars as indicators of musical structure is dependent on an understanding of phrase, gesture and texture development. Due to the improvisatory nature of the music addressed in this study, techniques for comparison and matching with previous recordings or other types of representation are not applicable. Instead, we propose an extension of the perceptual dimensions described above that take into account musical structure. This can be achieved by segmenting phrases and patterns that reflect musical change occurring at longer time scales. Although the Apart Project yielded many different results, some of which we are still in the process of detailing, we are concentrating here on the analysis of the avatar scenarios. In addition to these continuums, each questionnaire included a narrative section for comparing two different scenarios. Observation was carried out by two other musicians who were asked to fill in the same questionnaire but had no connection to the project. Also, an anthropologist was asked to observe the study after being provided with only minimal information on how the performance would unfold. All answers were transcribed afterwards and evaluated according to the principles of Content Analysis methodologies. In this way we were able to ensure that spontaneous feedback of the performers pertaining to each individual network scenario was recorded and could be analyzed objectively after the study. Further, the Apart Project was recorded in both multi-channel audio and video, where one camera per location was used for documentation and analysis. Afterwards the footage from each site was composited into a widescreen format movie (see Fig. 2), which allowed for the visual comparison of the performances at each site while providing a mix of the audio recording. After consulting the video footage in combination with the answers the performers had provided on the questionnaire, it became clear that the network avatars were not particularly useful for playing a score-based work such as Birdfood. This is evidently due to the fact that the musicians needed to concentrate on the score and were not able to look sideways at a computer screen at the same time. For a work such as One Note it was noted that the performers constantly looked at the 3D avatars. Judging by the answers that our analysis provided, it can be concluded that the performers enjoyed looking at the avatars as a means for visual interaction and potentially for enhancing sonic interaction; though, in the first instance, improvising musicians listen to each other before looking at each other. When consulting the recorded movie files one can see that as soon as an improvised section starts, the performers turn towards the screens on which the audio modulated avatars were displayed. The pianist for example exclusively looked at the computer screen towards the avatar, using the computer-generated graphics as a way to interact with the remote others. It was interesting to note that when the performers were playing with an iChat video link providing the performers with a full frontal body perspective of the two remote players, there were remarkably few glances towards the screen in both pieces. One reason for this must have been that there was a delay of the video in relation to the audio. A further reason for this, and this is possibly more interesting, is the fact that when musicians play in the same physical space they also would not stare at each other. The ways in which performers communicate is far more subtle; they do not require a full representational presence of another player in order to make music with each other. Performers tend to glance, often simply out of the corner of their eye, at the other players while intently listening to the performance at each present moment. In the same way that you cannot stare the network “straight in the eye”, … that “[y]ou can never directly confront the network […], [f]or it is always somewhere else from wherever you may be looking” (Shaviro 2003, p. 5), performers never stare at other players. There are always musical cues that are not “see-able”. Playing music is always a multi-tasking experience. This implies that performers tend to have a much more abstract reading of another human being’s presence. An aspect of this abstraction of bodily presence was attempted in the Apart Project in the form of the 3D avatars. These graphics, by being one level removed from a full bodily representation, ask for interpretation in the same way that a performer’s glance during a performance does. It is conceivable that the full representation of the performers’ presence as provided by the iChat link can be aligned with above-mentioned idea that we tend to have this idealized view of connectivity when working in a network. The network seduces us into this new holism where our expectation is one of unlimited, undisrupted access to the infinite. However, as argued above, the network functions much more in the manner of Deleuze and Guattari’s notion of the “surface”, one against which other surfaces can resist. The network is not a graspable thing; it is something you can never directly confront. In this line of thinking, the avatars in the Apart Project provide the performers with a space of possible resistance, a space for interpretation; and ultimately they allow the performers to be “connected a little less” (Ibid.). The avatars provide the performers with what Shaviro calls “a kind of ironically distanced, self-conscious asceticism” (Ibid.). Thus, the real concern for performers’ communication in remote spaces may lie in the way their bodies interact in general, in the intricate ways of the musicians’ communication processes. The audio-visual documentation from the Apart Project will further be analyzed and catalogued in order to serve as a shared resource for addressing both results and the design of studies of this sort. This study has provided insights into possible explorations of network musicianship and network performance practice, which will inform an upcoming composition by Pedro Rebelo for six instrumentalists distributed in three different sites. Further work on the avatars will include the design of dynamic projection systems in which reflections from the rendered graphics can be fragmented and projected outside the frame of a formal screen. The design of the Apart Project as a study for better understanding the conditions of ensemble musicianship under a variety of simulated network conditions represented a step towards the study of new performance environments. Network Music Performance suggests a new type of musicianship, which can only be understood and developed through the creation of conditions that are not about emulating the traditional stage, but rather that take advantage of the network itself as a medium for performance. These conditions are certainly modulated and informed by technologies but it seems that the current challenges for NMPs are of musical and performative nature. This study demonstrated an inherent capacity for musicians to address specific performance contexts when repertoire and musical materials are specifically created for those contexts. The study was conceived and designed by Pedro Rebelo. Richard Coyne convincingly argues that a rhizomatic system is not analogous to the network system: networks suggest circulation, repeating and looping, and indeed Coyne suggests the loop as the basic unit of the network (Coyne 2007, pp. 12 and 17). The loop reveals interdependence, it not only recalls Nietzsche’s emphasis of repetition, of the “eternal return” as the defining element of human beings, but also, the loop counters any arboreal, tree-like or hierarchical ideas (Deleuze and Guattari 1984, p. 5). A surface, according to Deleuze and Guattari, is always one against which other surfaces may resist. One could argue that the notion of communicating/working over a network has gradually transformed into the notion being in the network. This implies that there is a move from humans looking at the network as a sort of onlooker, towards seeing themselves as involved entities within the network that shape and indeed constitute the network itself. The network now is the place, a space for being, a locus for dwelling. This is attested by performance environments, such as Second Life , which not only acts as a platform for communication, but has established itself as a place to be inhabited. Having said this, there also exists, even more recently, a trend towards technological escapism, a wish for a return to non-technological practices and research topics, a turn towards being “connected a little less”, as Steven Shaviro calls it (Second Life, p. 5). These kinds of practices emphasize body-centered works, site-specificity, ‘liveness’, as well as audience interaction (see the research topics of groups such as the Centre for Contemporary and Digital Performance ). The technical infrastructure used in the simulation is now being used as a reference framework for real-world network performances such as Disparate Bodies ,a three-site performance work presented at NIME 2007. Castells, Manuel. The Rise of the Network Society, The Information Age: Economy, Society and Culture, Vol. I. Second edition. Cambridge, MA / Oxford, UK: Blackwell, 2000. Chew, Elaine, Alexander Sawchuk, Carley Tanoue and Roger Zimmermann. ”Segmental Tempo Analysis of Performances in Performer-Centered experiments in the Distributed Immersive Performance Project.” Proceedings of International Conference on Sound and Music Computing 2005 (24–26 November 2005, Salerno, Italy). Coyne, Richard. Technoromanticism: Digital Narrative, Holism and the Romance of the Real. Cambridge MA: MIT Press, 2001. _____. “The Net Effect: Design, the rhizome, and complex philosophy.” Author’s private pre-publication copy, 2007. Has since been published in Futures 40/6 (2008), pp. 552–61: Special Issue on “Design out of Complexity”, Theodore Zamenopoulos and Katerina Alexiou, eds. Deleuze, Gilles. and Felix Guattari. Anti-Oedipus; Capitalism & Schizophrenia. Athlone Press, 1984. _____. A Thousand Plateaus: Capitalism and Schizophrenia. Minneapolis: University of Minnesota Press, 1988. Rebelo, Pedro, Franziska Schroeder and Steven Davis. FAINT. CD recording. Creative Sources Recordings [CS088], 2007. Shaviro, Steven. Connected — Or what it means to live in the network society. Minneapolis/London: University of Minnesota Press, 2003. Weber, Robert Philip. Content Analysis. In Seale C. (ed. ), Social Research Methods — A Reader. London: Routledge, 2004. 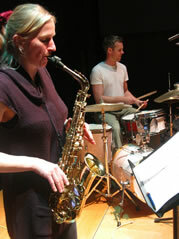 Franziska Schroeder (sax) performing with Steve Davis (drums). Franziska Schroeder is a saxophonist, an improviser and theorist. She is the founder of the digital media collective l a u t and was awarded her PhD by the School of Arts, Culture and Environment at the University of Edinburgh in 2006. Her research interests include the intersection of philosophy and performance in technology-informed environments, in particular the role of the body in the age of technological change. Franziska is currently on a three year AHRC-funded Research Fellowship investigating performance issues in network environments. 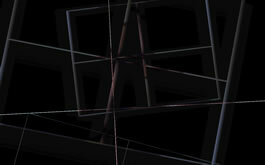 Pedro Rebelo is a composer/digital artist working in electroacoustic music, digital media and installation. Pedro conducts research in the field of digital media, interactive sound and composition. His writings reflect his approach to design and composition by articulating creative practice in a wider understanding of cultural theory. Pedro has been awarded a PhD in composition from the University of Edinburgh. He was the Music Chair of the ICMC2008 and is currently Director of Education at the Sonic Arts Research Centre in Belfast. Alain Renaud was born in Geneva, Switzerland. He moved to California in 1997 to study audio engineering and music business. In 2001 he took on a job with the digital strategy consultancy, Rightscom in London and pursued an Msc in Music Information Technology at City University. In 2005, Alain joined the Sonic Arts Research Centre (SARC) in Belfast. His current research work focuses on networked audio technologies. He is hoping to complete his PhD research in 2008. Fernando Gualda is currently a PhD student at the Sonic Arts Research Centre, Queen’s University, Belfast.